DIMENSIONS: 11" from Ceiling to Bottom of Light (with 3" Downrod Included); Weight 25.3 lbs. 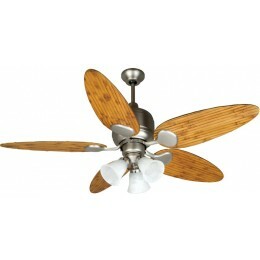 Vacation at your place with the island-inspired damp-rated Kona Bay ceiling fan. The powerful, 3-speed, reversible Kona Bay ceiling fan can be installed indoors or outside.